Swimming lessons start from 3 years old (Stage 1). All lessons are taught by qualified instructors who help children to develop confidence in and around the water. Based in Winchester, Judy Sporle provides parent and child classes (3 months – 3 years), pre-school classes (3 years – 5 years) and also after school classes (3 years plus). In the parent and child classes they provide introduction to the water, safety, songs and games and water confidence. Pre-school classes have a maximum of 4 children to a class with the teacher in the water. After school classes have a maximum of 8 children in a class and promote water confidence and teach techniques. 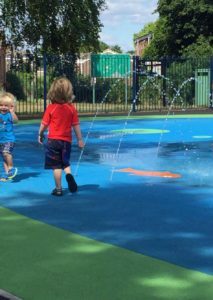 Operating through Reading, Wokingham and Caversham, Turtle Tots run a baby programme and a toddler programme. The baby programme can start any time from newborn to 14 months old. You learn to swim with your baby above and below the water and help teach your baby confidence in the water. 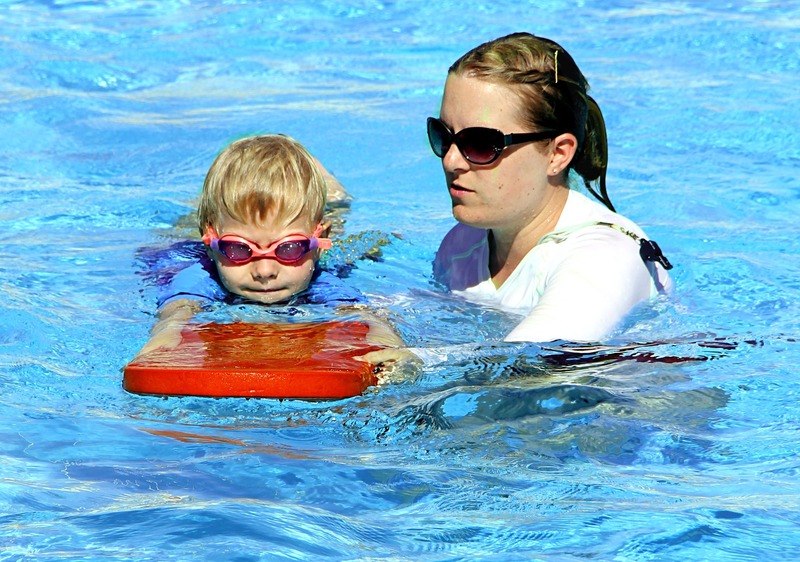 The toddler programme has been designed with a set of activities including swimming technique, safety and floating. 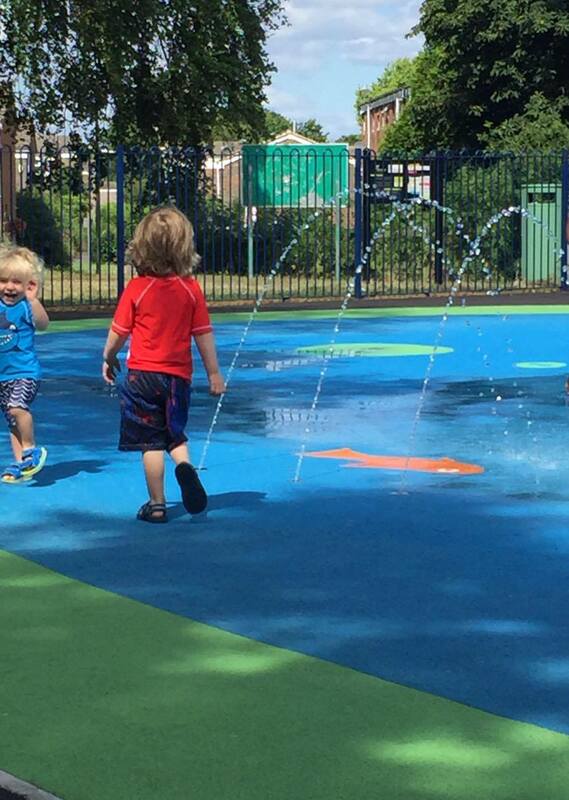 The toddler course is suitable from 18 months. Angela’s Swim School has small classes to allow for individual attention and feedback from each session. They offer swimming lessons for all the family with a wide range of lessons for children, adults and babies from 4 months. There are sessions available nationwide, locally they are held at Aldershot, Petersfield, Bordon and Hook. Having more than 70,000 children learning to swim through their swimming Programmes, Everyone Active helps children learn the skill of swimming. 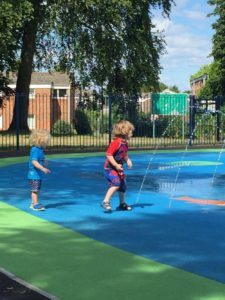 They are available 50 weeks a year (2 week break over Christmas and New Year), suitable for children aged over 5 months, all teachers are DBS checked and don’t run “terms” so children can join at any point throughout the year. Locally this is run from Hart Leisure Centre in Fleet, although it is a nationwide brand. 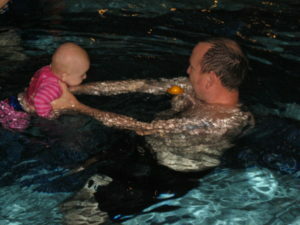 Water Babies is aware that swimming is one of the few things that you can do with your baby from birth. Water Babies encourages babies to swim underwater whilst having fun. They run locally across Berkshire and North Hampshire and teach from 21 swimming pools. Swim Expert runs from the Apollo hotel in Basingstoke. They can provide private 1-2-1 swimming lessons to improve children’s swimming more effectively as well as running small group lessons with a maximum of 3 children per class. They will do lessons for anyone over the age of 2 years. 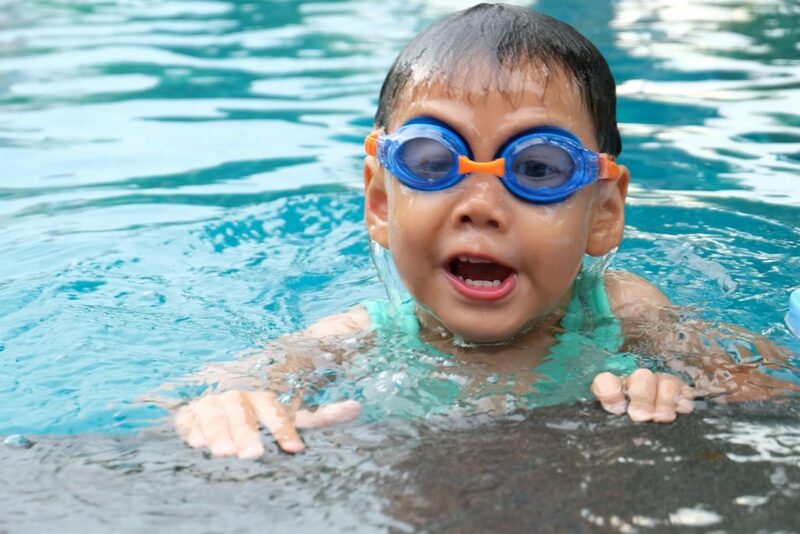 Rushmoor Royals provides swimming lessons from 2 ½ years old in Farnborough, Aldershot and Yateley. Lessons are held over 3 terms and normally run for 12-14 weeks. There are badges for each stage and once achieved, children can move to the next stage. This swimming school is run from Queen Mary’s College in Basingstoke. They provide adult and baby/toddler lessons from 4 months. They also do pre-school lessons for children aged over 3 years. With qualified teachers, the classes are fun using a mixture of toys, nursery rhymes and games to help children learn to swim and be confident in the water. 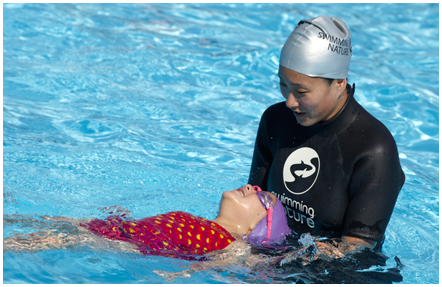 If you or your child wants to learn to swim, improve on skills or simply become more water-confident, you’re in luck! 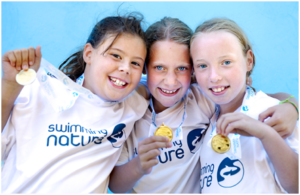 Swimming Nature, the UK’s market leader in delivering premium and bespoke swimming tuition, is now available across the Hampshire area. We will be offering sessions at the Hampshire Lakes retirement village in Yately and the Hampshire Court Hotel in Basingstoke. 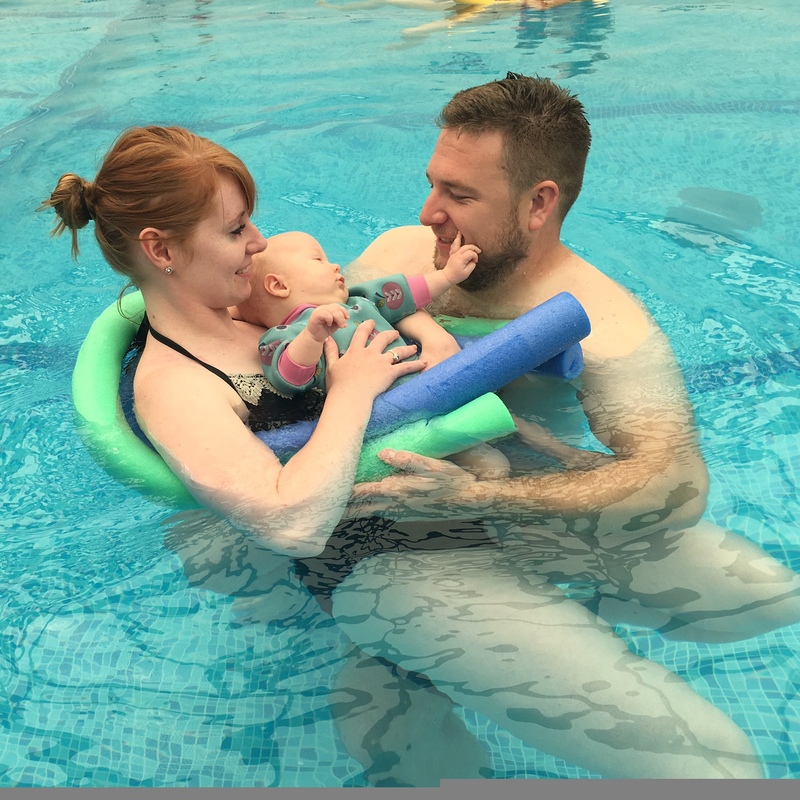 With over 20 years of experience in teaching babies, children and adults to swim, our experience is just like a Personal Trainer in the water, as we only teach on a one-to-one or one-to-two basis. Our instructors are world-class. We work with all-ages of students and provide an experience unlike any other type of swimming programme. Our dedicated sessions ensure you will learn quickly with instructors focused exclusively on you or your child. We don’t just coach you to swim – we coach you to swim beautifully! For children, we offer a unique training method with seven stages. Each swimming stage is represented by one of our colourful animal characters from crabs to crocodiles. Each character has been designed to capture the student’s imagination and encourage development of special skills, from jumping in at frog level to racing dives when you progress to the penguin group. We also use the latest technology to track the progress of all students, both children and adults. Our instructors measure improvement and record achievements, so that as a parent you can easily track your child’s progress from home. Prices for children’s start from just £20, whilst our adult program starts at £40. If you want the best for you and your child, there is no better choice on the market than Swimming Nature. Book your free, no-strings trial session for yourself and/or your children to judge our experience for yourself. From there, you’ll be able to enjoy 20% off your first term if you decide to join us! Running every Tuesday morning at the Andover Leisure Centre there are antenatal exercises to music in the swimming pool. You can attend any time after 14 weeks pregnant and can even rejoin 6 weeks after baby arrives. Runs from 11.15am to 12.15pm. Aquanatal is run from Arena Leisure Centre in Camberley and provides all round fitness for pre and post natal women. Did you attend an antenatal swimming class that isn’t listed on here? Do you have one you would recommend? Please email NorthHantsMum and let me know. Thank you very much to Shona for putting this post together! Swimming lessons with Water Babies teaches vital life skills as well as enhancing how babies and toddlers learn other things. You can take your baby from birth too. 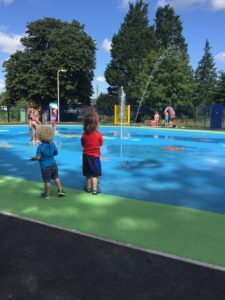 The swimming pool in Tadley starts with Ducklings which is the baby and preschool sessions for developing confidence in the water during the early years. Children can then move onto the next stages. Ducklings starts from 6 months to 18 months. The swimming pool in Basingstoke Leisure Park starts with Ducklings which is the baby and preschool sessions for developing confidence in the water during the early years. Children can then move onto the next stages. Ducklings starts from 6 months to 18 months. There are swimming lessons with Puddleducks from 0-4 years and 4-10years. 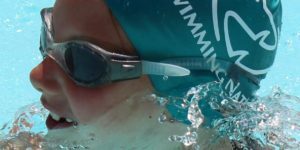 Swimming offers a unique sensory experience and develops confidence in water that lasts a lifetime. The baby/pre-school sessions include rhyme, music and movement. Sessions are offered locally in Ewshot, Yateley and Bagshot. 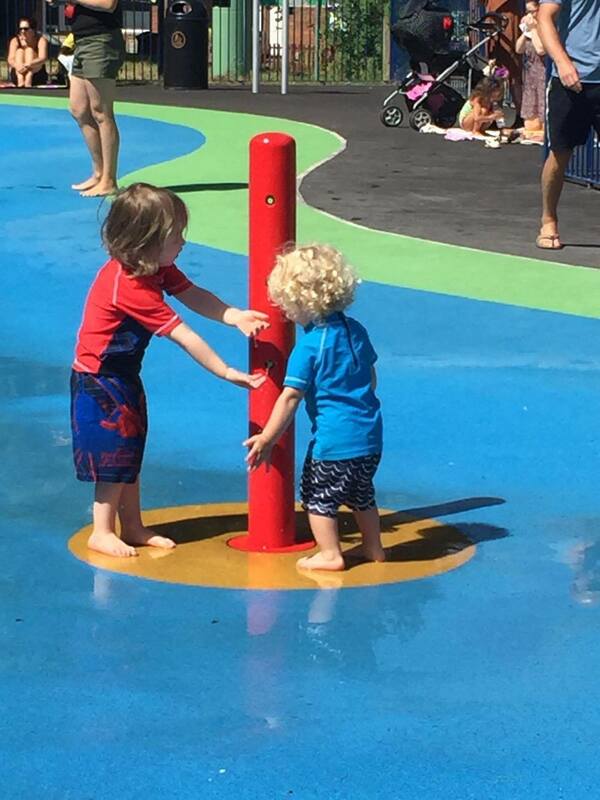 The perfect way to introduce your little one to the water and to build up their confidence. They are 20 minute sessions that run 39 weeks of the year.